We are open for paper recycling Monday through Friday from 8 am to 3 pm. 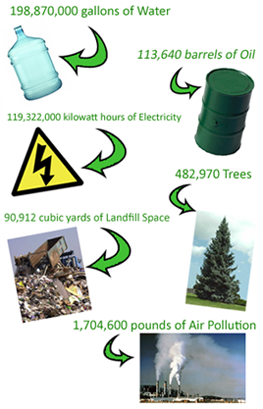 Recycling can save money and create jobs. Every Sunday, Americans throw away 90 percent of recyclable newspapers. This wastes 500,000 trees! So bring in your paper today! Michelsen Packaging has been green since 1937!